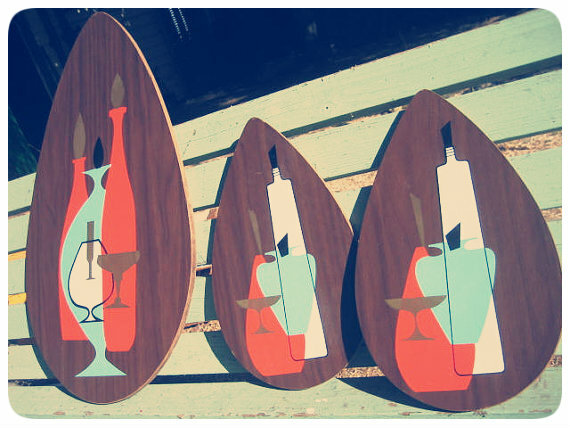 I have such an obsession with mid century wood wall art! I always love the clean designs that usually consist of vases, glassware, and musical instruments. These beauties are fantastic and in beautiful condition! I love the colors of this mini collection!Not to mention, this is one of the best ideas I have ever seen on Etsy! Brilliant! This felt wall hanging is so cute! 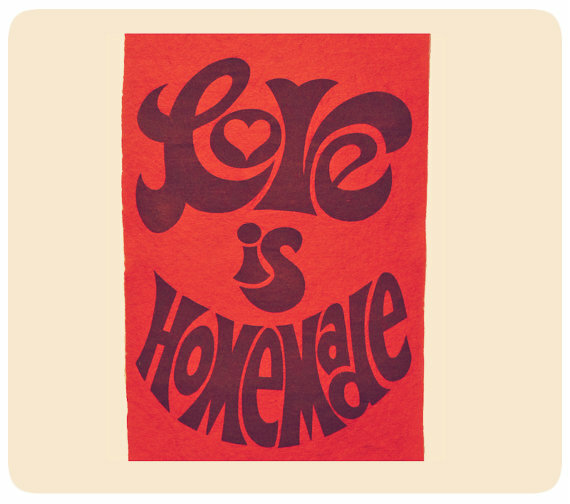 I love the message, and it would be amazing in an old frame as part of a gallery wall! 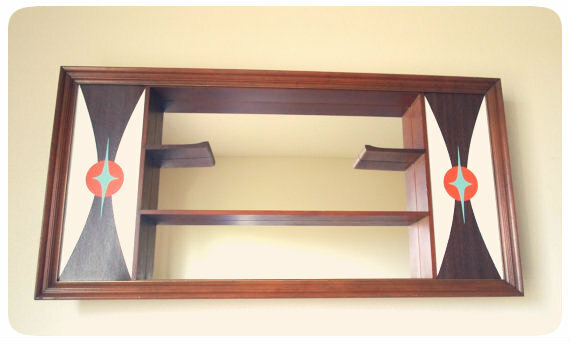 is in amazing mint condition, and I'm sure its a hard to find piece! I need this in my home, but the price tag, ouchie! 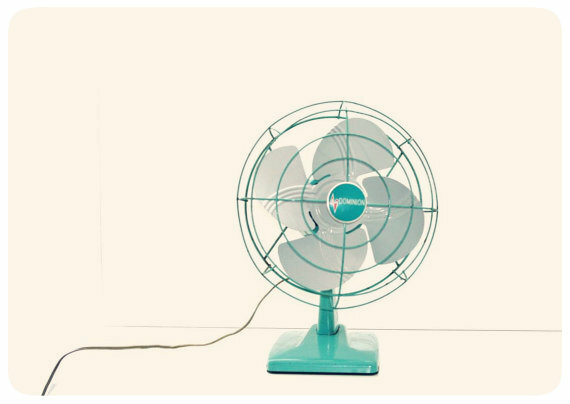 I just love this industrial fan, such a gorgeous display piece! 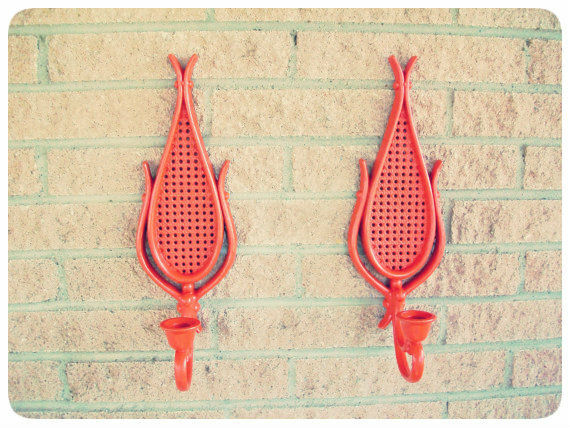 I have so many pairs of wall sconces, but I cannot help but think these would look great somewhere in my home (if I can find any wall space!). 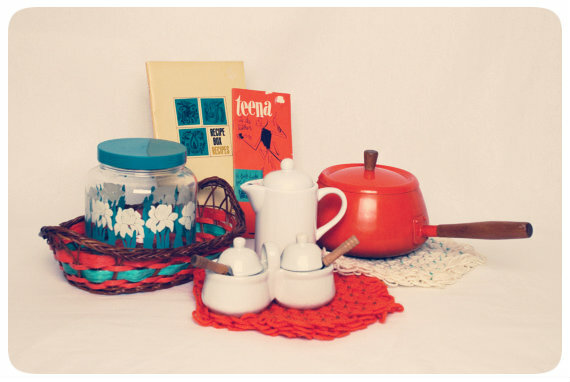 @ohsolovelystef's instagram is a look into her little mid century life. 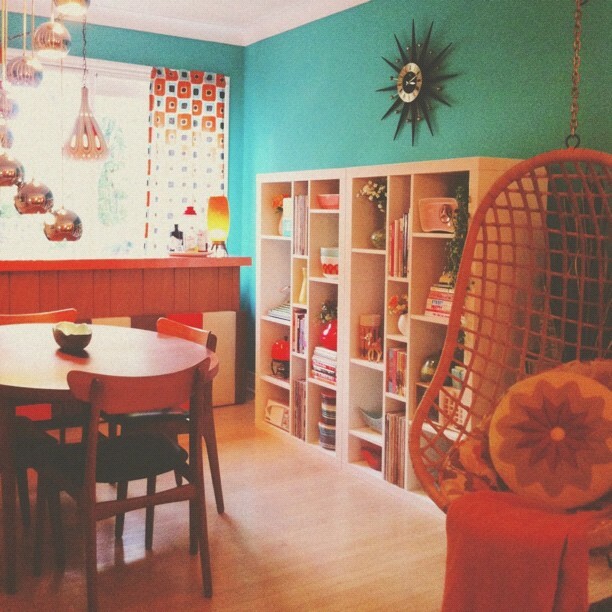 Her home is like a blast from the past, a time capsule. 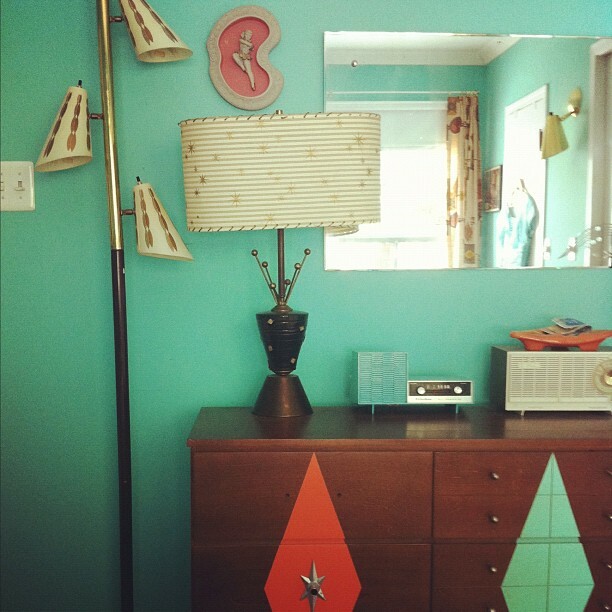 I love the color scheme and all the beautiful pieces of mid century modern furniture! I die every time a peek of her home comes across my feed! She also writes a fantastic blog! Go check her out! LOVE the shadow box! Stefanie's house is amazing! I love her wall color! I know! I wish the price tag wasn't so scary! Haha I do too, I can't wait to have a whole house to do up! Gah! I just want everything here. 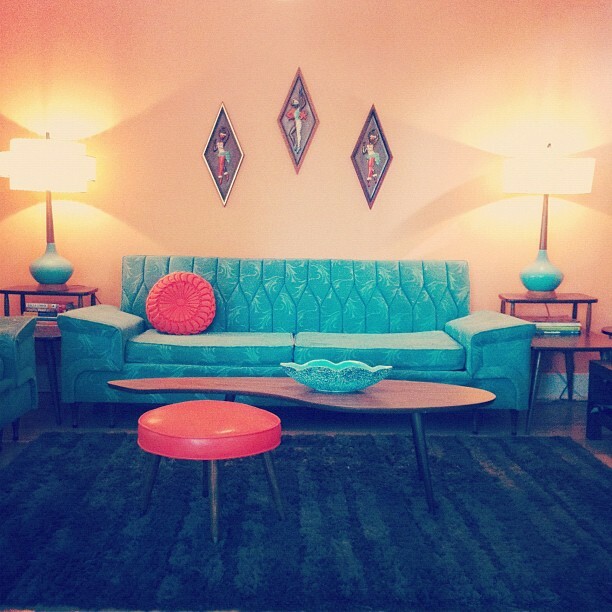 I love the teal and orange combination. I am like, literally drooling right now :] New follower of your blog and I already adore it, can't wait to connect more with you. Thank you so much! I was having a hard time not purchasing all of this stuff! Haha thank you for stopping by! I'll be checking your blog out! The Oh So Lovely girls have great style, don't they?? That's exactly how I want my house to look someday! They are so fantastic! Girls after my own heart! I'm totally obsessed with this color combo right now! Half my apartment is decorated in teal and orange! I think the contrast is so bold and just amazing!